John French and Cruise in the $5,000 Devoucoux Hunter Prix at HITS Thermal. THERMAL, CA (March 6, 2011)--John French (Woodside, California) capped off a busy afternoon on Sunday when he captured the top prize in the $5,000 Devoucoux Hunter Prix aboard Jessica Singer’s Cruise to close out Desert Circuit V at HITS Thermal. French, who sits in the top five of the Diamond Mills $500,000 Hunter Prix Final Rider Rankings, finished with four horses in the top 12 of the class. At the same time that the Devoucoux Hunter Prix was taking place, he also had a horse in the jump-off for the $25,000 SmartPak Grand Prix, presented by Pfizer Animal Health, just across the berm in the Strongid C 2X Stadium, proving that he is one of the most versatile riders in the country. "After the Grand Prix jump-off, I went back over to the Hunter Prix and the adrenaline rush was over. I think that helped me to relax and win the class," said French. In Sunday’s main event for hunter riders, French and Cruise were the top horse-and-rider pair out of the 49 starters that showed over Rian Beals’ (Saugerties, New York) course and the 15 that returned for the second round. French had the ride for Singer who is away at college. When at home, Singer trains with Archie Cox at Brookway Stables. "Cruise has been a winner from coast to coast," said Cox. "He is one of the most consistent performers in my barn. His best attribute is that he is willing to do whatever is asked of him." Beals’ first-round track featured options with inside and outside turns, a split rail, hay bales and a black natural fence that would replicate the hunt field. After the first round, French and Cruise were at the head of the class after scoring an 87. In second place was Nick Haness (Coto de Caza, California) and Pamela Stewart’s Catwalk, and in the third spot was French and Yellow Dog Farm’s Crown Affair. while Hope Glynn (Petaluma, California) and Sarah Draxton’s Rienzo landed in third place. 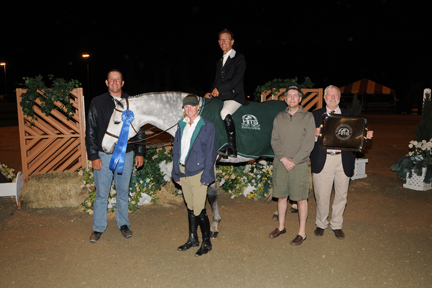 HITS Senior Vice President Tony Hitchcock congratulates John French, Archie Cox and friends after winning the $5,000 Devoucoux Hunter Prix at HITS Thermal. 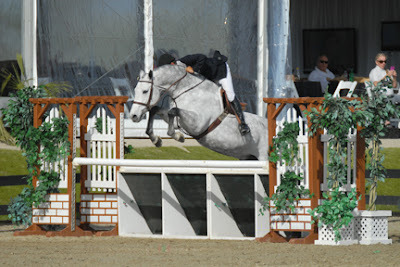 While French, Haness and Glynn each had two horses in the top eight, professional rider Shelly Campf (Canby, Oregon) also excelled finishing in seventh place aboard Maggie Dennis' Greyscale and amateur Erin Bland (San Diego, California) rode her own Weatherly to an eighth-place effort. French, who was champion in every rated division at Desert Circuit V, has made it clear that he will travel to HITS Saugerties for the Diamond Mills $500,000 Hunter Prix Final. He now has four of the five Devoucoux classes needed to become eligible and is a top contender to again finish high on the list in next week’s $25,000 Devoucoux Hunter Prix. His performance this season in Thermal should give him a great place in the Rankings as the qualifying period on the West Coast comes to a close and all the focus shifts to the East Coast for the Culpeper and Saugerties shows. “I will be in Saugerties,” said French. “That kind of prize money for hunters is unheard of. 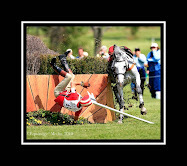 I don’t really know what horse I will ride, but anyone would like to have Cruise do that class." The all-new Diamond Mills Hunter Prix Final will take place September 10-11, the same weekend as the Pfizer $1 Million Grand Prix in Saugerties, New York. Devoucoux, makers of fine French saddles, is proud to be the title sponsor of each and every qualifying Hunter Prix leading up to this year’s phenomenal Diamond Mills $500,000 3’3” Hunter Prix Final. 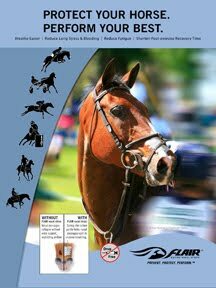 The Devoucoux Hunter Prix will be a featured event at all HITS horse shows this season as riders from around the country set out to qualify for the historic Diamond Mills Hunter Prix Final, which will take place September 10-11 at HITS-on-the-Hudson in Saugerties, New York.